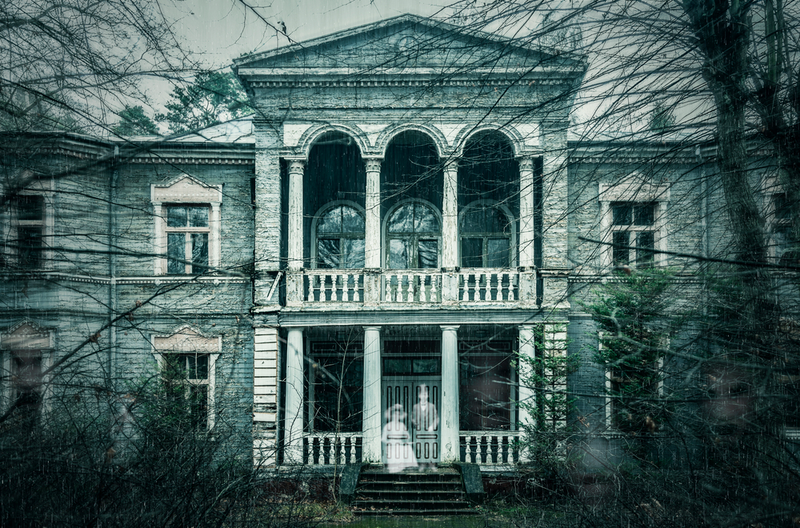 Widespread accounts of otherworldly visitations leave people convinced that ghost stories are real, but many are outright scams, hoaxes or accidents. Let’s debunk some famous supernatural scares, shall we? In 1848, the Fox Sisters of Hydesville, NY, helped kick off the Spiritualist craze that swept America. Two young girls named Margaret (15) and Kate (12) started to hear mysterious “rapping” noises and eventually developed an extraordinary ability to communicate with the spirits responsible. Their communion was such that the spirits would answer questions about all sorts of things through a code of taps. At first no one could figure out where the noises were coming from, and they followed Margaret and Kate wherever they went. The girls passed “tests” to make sure they weren’t faking the phenomenon, like being searched and having their hands tied. Their fame grew enormously; they performed their spiritual communiques for huge crowds and had famous fans like Sojourner Truth, William Lloyd Garrison and Horace Greeley. Their tours across America helped inspire millions of people to take up Spiritualist beliefs—the idea that the dead are still around us and are waiting to communicate through a proper medium. “Death shall come on swift wings to him who disturbs the peace of the king” was the alleged “curse” found when archaeologists opened the tomb of King Tutankhamun in 1922. And several members of the exhibition did die, each one adding fuel to the legend’s fire. The death cited most often is the passing of Lord Carnarvon, the British Earl and amateur Egyptologist who bankrolled the search in the Valley of the Kings. A year after Carnarvon and archaeologist Howard Carter discovered vast treasure and the golden sarcophagus of the boy-king Tut, Carnarvon received a mosquito bite. This seemingly normal bite became infected by a cut from a razor, and soon Carnarvon lay dead in a Cairo hotel of blood-poisoning—or was it Tut’s ghostly vengeance, reaching through the centuries? It was totally blood-poisoning. Howard Carter, who opened the tomb and the king’s sarcophagus with his own hands, lived for 16 years after the event. While others connected to Tut’s discovery did die, some under strange conditions, it was no more than could be expected considering the number of people attached to the expedition and the state of medicine in the 1920s. The media helped spread the “Mummy’s curse” narrative, but the hoax was on them: years later it was revealed the story was spread and encouraged by the expedition in order to keep thieves—and the media—away from Tut’s tomb. One of America’s best-known hauntings centers around a stately colonial house in Amityville, NY. Events surrounding the house were turned into Jay Anson’s bestselling novel The Amityville Horror and subsequent films, which traded on the notion that the Amityville hauntings actually happened. I grew more tired and indifferent to everything, and also felt very cold in the evenings, and wore shawls and scarves most of the time. The children seemed so poorly and I was so tired, I took them away the day after Christmas for the holidays. While we were away, G was frequently disturbed at night. Several times he was awakened by a bell ringing, but on going to the front and back doors, he could find no one at either. Also several times he was awakened by what he thought was the telephone bell. One night he was roused by hearing the fire department dashing up the street and coming to a stop nearby. He hurried to the window and found the street quiet and deserted. It had always been G’s habit at night before going to bed to sit in the dining room and eat some fruit. In this house when seated at night at the table with his back to the hall, he invariably felt as if someone was behind him, watching him. Mrs. H.’s account of the horrible events that beset her family and servants makes for a harrowing read. In all of their experiences, the afflictions are very real, as is the increasingly wretched physical and mental health of the house’s occupants. Unlike Amityville, there was no scam afoot and the family was justifiably scared... just for the wrong reasons. G’s brother told us that he thought we were all being poisoned; that several years before he had read an article which told how a whole family had been poisoned by gas and had had the most curious delusions and experiences. Upon examination, the furnace at H. house was found to be faulty, and was pouring carbon monoxide gas throughout the house. Carbon monoxide poisoning causes sickness and hallucinations of the sort the family experienced. As soon as the furnace was fixed, their haunted house became a regular home. “Many houses have been condemned as haunted, and avoided by the weak and credulous, from circumstances the most trifling in themselves, and which only wanted a vigorous mind to clear up at once, and dissipate all alarm,” wrote Charles Mackay in his insanely badass 1841 guide for skeptics, Extraordinary Popular Delusions and the Madness of Crowds. Mackay covers hoaxes, charlatans, and moral panics across the ages. He has no at all time for ghosts and he eviscerates popular hauntings, showing that they were most often found to be caused by such diabolical fiends as rats in the walls, structural conditions, and deliberate fraud. We recommend perusing the pages of this wonderful book and reading Mackay in place of the usual horror stories this Halloween. With vivid tales of alchemists, Crusaders, witch-hunters and—yes—alleged hauntings, the real activities people get up to are more eye-popping and hair-raising than anything the spirit world has to offer.